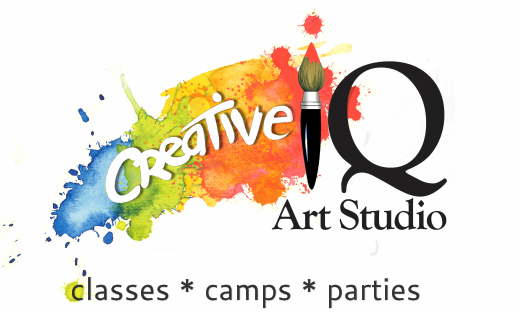 ​We offer a variety of art classes & workshops for all ages! All experience levels welcome and our curriculum is designed to allow students to start anytime. Check our class schedule below for class times and our studio calendar for important dates. Pay using the "add to cart" or "sign up" buttons below. Select your choice of the class day and time from options listed in the drop down menu on the payment page (where applicable). You can also drop off payment at the studio or call to enroll & pay over the phone. Fill out a registration form so we have all necessary information on file. (For Lafayette Elementary students, please fill out the Lafayette Elementary Registration and Permission Slip). Call us with any questions or to pay and register over the phone! 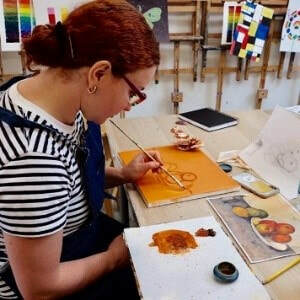 With an emphasis on drawing and oil painting, these classes are designed to teach and develop students overall drawing skills, painting technique and artistic creativity. Students learn fine art concepts, such as color theory, composition, value, and perspective. Oil Paint, Pencil, Charcoal, Pastels, Watercolor, Acrylic & Low Fire Clays. All supplies included. This course is designed to introduce young students to fine art concepts while exploring different types of mediums. Pencil, Charcoal, Pastels, Watercolor, Acrylic & Low Fire Clays. All supplies included. Students can start anytime within the semester! Interested in acrylic painting, but need some guidance or don't know where to start? 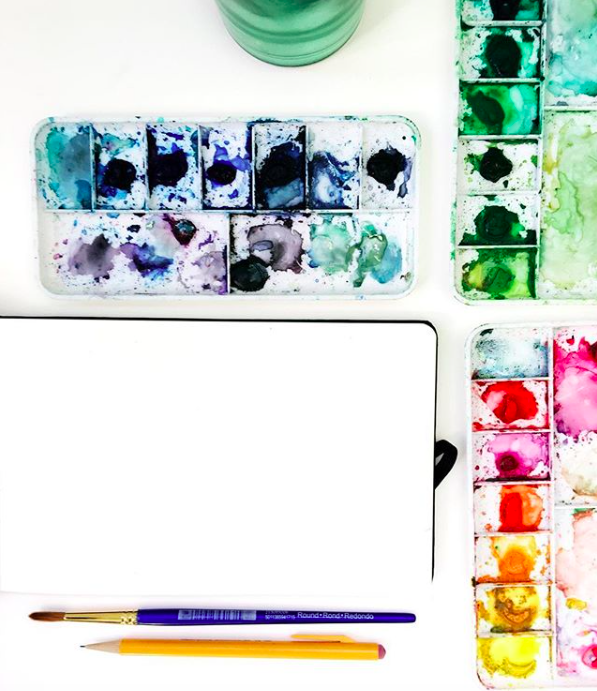 This class focuses on getting you set up with everything you need to start painting with acrylics! This is a four class series and each class will build on the last. 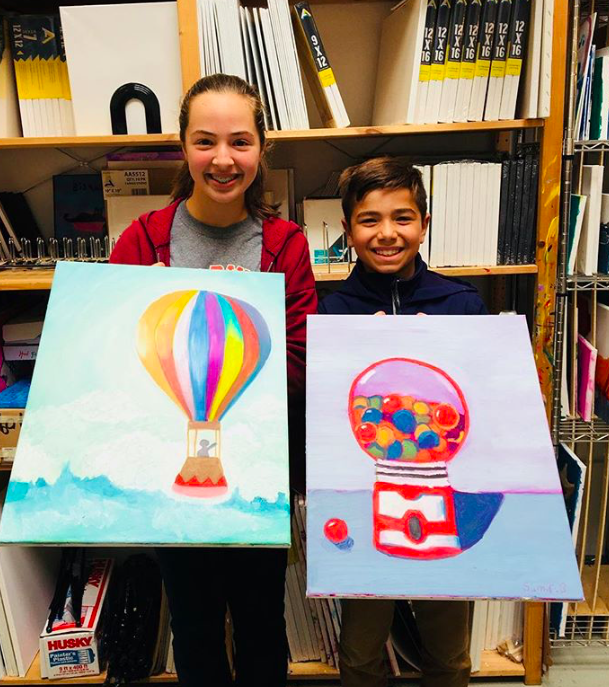 We will guide you through color theory, various acrylic painting techniques, composition and art fundamentals! For beginning to intermediate painters. No previous painting experience required. ​All supplies are included. This class is for moms, dads, sitters, grandparents, aunts & uncles who want to do art with their infant through preschool aged child! With a variety of non-toxic materials to play with, have fun creating art with your child while they learn basic art fundamentals and practice fine motor skills. Ages 0 - 5, accompanied by an adult. All supplies included. Drop-ins welcome! A full session runs for 12 weeks, one class per week. ​New starting in Fall 2018: 12 week sessions! One more class, same great value! Start anytime!